Technology companies based in London’s Tech City are struggling to access high-speed fibre-optic broadband, which is dramatically affecting their prosperity. 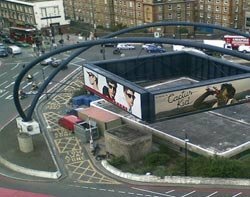 The London Evening Standard reported earlier this week that entrepreneurs in London’s Silicon Roundabout are becoming increasingly frustrated by fibre, having to turn to dongles and copper wire connections in order to run their tech businesses. Some startups claim there is no access to fibre optic broadband in the Tech City area of London. Russ Shaw, founder of Tech London Advocates, told Computer Weekly that the rapidly growing startup community in London needs a robust infrastructure to facilitate continued growth. “This is especially true when the sector in question is technology,” he said. The founder of the independent private sector group said he has seen a huge increase in the number of technology startups, particularly data companies, who require significant broadband for their concepts to work. “London’s broadband quality has not kept pace with the ideas, business models and innovations of our entrepreneurs,” said Shaw. Computer Weekly spoke to one startup ad-tech company, Adbrain which has been suffering from poor connectivity, as well as serious problems with wireless connectivity due to wireless pollution. “We're an international company that communicates across the globe on a daily basis over bandwidth intensive video streams – connectivity is of paramount importance to a modern workflow,” said Gareth Davies, CEO & co-founder of Adbrain, the cloud-based data driven solutions provider for the advertising technology sector. But Davies said the issue is not just a matter of access to fibre-optic cabling, but the co-working space culture in Tech City where many startups are often under one roof, sharing a single internet connection. “In many cases an office connection is under the control of property managers that are either unwilling or incapable of meeting the burgeoning demand for consistent bandwidth across technology centric parts of the city,” said Davies. Last week Grech met with 70 members of the tech community and CEO of Ofcom to collect data to build a clear picture of the broadband black spots and encourage telcos to fix the problem quickly. A BT spokesperson said the company already offers high-speed business services, offering up to 10Gbps, to all business in the Tech City area. Shaw said investment by government in broadband and incentives for private companies to install faster cabling would be appreciated by the private sector. He also said telecoms companies need to expand their networks to offer more 3G and 4G services across the whole of London. At the end of last year, operator EE switched on its superfast 4G mobile network in London’s Tech City, which startups could use as an alternative fast connection to fibre. The scheme is currently being trialled by a select number of businesses in the area, promising speeds of 300Mbps to mobile devices. Tech City and EE have been partners since May 2013 with a joint goal of supporting small companies across the East London technology hub. As part of the deal, EE promised to debut any new network innovations in the east London locale and offer bespoke packages for Tech City accredited businesses, giving them discounts on their line rental, mobile broadband and accessories. The operator has also promised 100 4G enabled hubs to be introduced by September 2014. But Shaw doesn’t believe these steps are enough to meet the increasing needs of a large online population, which is hampered by a Victorian infrastructure in desperate need of modernisation. He also noted that consumers demanding the faster speeds may need to pay a bit more for the service. “The cost of laying the necessary fibre-optic cables is still far too expensive, and many of us do not want our roads and pavements to be ripped up,” he added.